"Manoj Garg and VIE are long-time partners and advisors to Oregon Catholic Press, an internationally esteemed publisher of liturgical music, books and support materials. We rely on Manoj and his team for breadth of business experience and technical knowledge particularly when we are assessing complex business problems, implementing new technologies, or facing project challenges. With VIE’s help we implemented online subscription services, Agile methodologies, and Business Intelligenceinitiatives, just to name a few. At OCP, we value that Manoj and VIE are on our team." 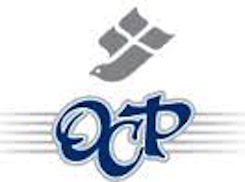 The Oregon Catholic Press (OCP) is a not-for-profit publishing organization based in Portland, Oregon whose mission is to bring the gospel of Jesus Christ to all, primarily through the publication of the highest-quality worship programs, spiritually-enriching music and the diocesan newspaper for the State of Oregon. In 2007, the OCP appointed a new Chief Operating Officer who was not happy with the situation in the IT department. She was concerned about the lack of progress on many business/IT initiatives and IT leadership in general. She was looking for an outside assessment of OCP’s IT capabilities. The ERP system was severely out of date. It needed to be upgraded. IT projects were late and the overall IT project landscape was murky. The management team was not receiving the critical information it needed to operate the business. The business was growing rapidly and needed more insight into the Key Performance Indicators. The IT team morale was low. VIE was engaged to provide an IT assessment. Two VIE CIO consultants performed the IT assessment and provided key insight into the IT organizational structural challenges, how to manage the ERP systems upgrade and how to implement good IT governance. Over the next few years, OCP engaged VIE for several other initiatives including an ERP implementation project manager, assistance in hiring the new CIO, an agile implementation advisor, a product management consultant and a CIO advisor. The VIE recommendations were used to make changes in the IT organization immediately. A new CIO was hired in 2008 (with VIE’s assistance) and this IT leader has provided effective leadership for the last 6 years. VIE assisted OCP to complete the ERP systems implementation successfully and under budget. VIE assisted the OCP IT teams with the implementation of an agile development process which is being leveraged to develop the OCP online presence efficiently and rapidly. Finally, VIE has worked with the OCP CIO as an advisor for the last 4 years, advising on many critical business and IT initiatives.